This article appears in print in the February 2018 issue. Click here to subscribe. A comedic miscommunication with my charming Italian host dad while I was studying abroad in 1997 turned me off eating bunnies for at least a decade. But recently, I’ve changed my tune: Rabbit, as a source of protein, can be both sustainable and delicious. 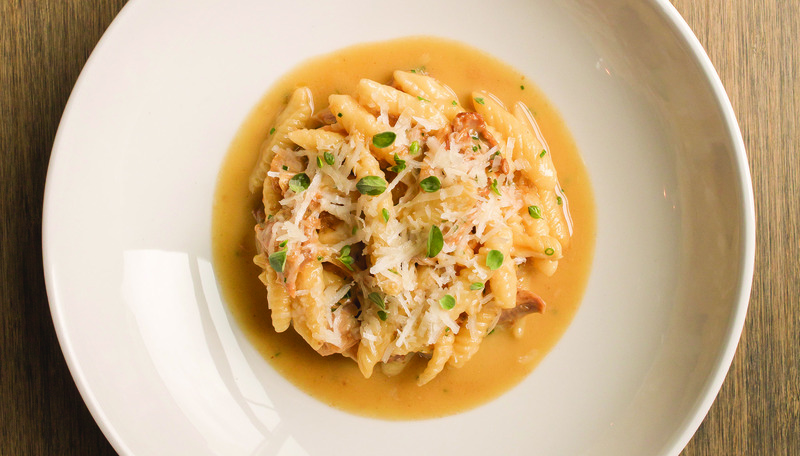 And I haven’t had it prepared as well, in recent memory, as at pretty new bistro Joli (in Ballard’s Stumbletown neighborhood), where it’s braised, shredded and heaped atop chewy handmade cavatelli (an oblong pasta shell) enriched with house-made ricotta. There’s a hint of marjoram and a generous snowing of Parmesan on top. It’s emblematic of what the French-Italian cuisine chef and co-owner Amy Beaumier, formerly of Bell and Whete, is doing here—and it’s comforting all the way.